The question is how badly must someone behave to be tossed from a rehab center that is geared towards those with anger management issues. Chris Brown the R&B singer could probably tell you, but on second thought, it might be better not to ask him. The singer bad boy land in jail on Friday, said reports, after he had been tossed out of a rehab facility in Malibu where he had been undergoing rehab treatments for the past four months. 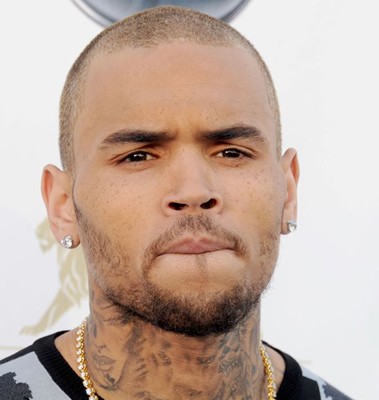 A source with the Los Angeles County Sheriff’s Office confirmed that Chris Brown had been arrested on an outstanding warrant. At this time it is still uncertain what will take place now and for how long Brown will remain behind bars. One online entertainment site reported that the R&B singer had violated the internal rules of the center. The website announced that the violations broken did not include drug use or violence. However, police locked up the singer in Friday and said Brown was held without on Friday at the jail of Los Angeles County. A New York daily reported that a probation report that was released in February said the singer, who is 24, had been given a diagnosis of bipolar II disorder, severe insomnia and posttraumatic stress. However, the same report said that Brown was a model patient. Brown was at the facility for his second time starting last November after he allegedly tossed a rock through his mother’s car window. The treatment for anger management was ordered following Brown’s plea of not guilty to a charge of assault, stemming for his arrest in October for allegedly punching an art student in New York outside a hotel. That arrest put the singer in violation of probation for his assault against his then-girlfriend singer Rihanna nearly five years ago. When contacted about the latest incident and apparent return by Brown to jail, the rep for Brown declined to make any comment about the incident.